Candy Bleakz kick start the year 2019 with a groovy tune titled — "Owo Osu" featuring the 2 music act wave of the moment "#Zlatan" and Naira Marley. "Owo Osu" was produced by MyStylez Beat. This is not your average kind of Jam, Check it out and enjoy. 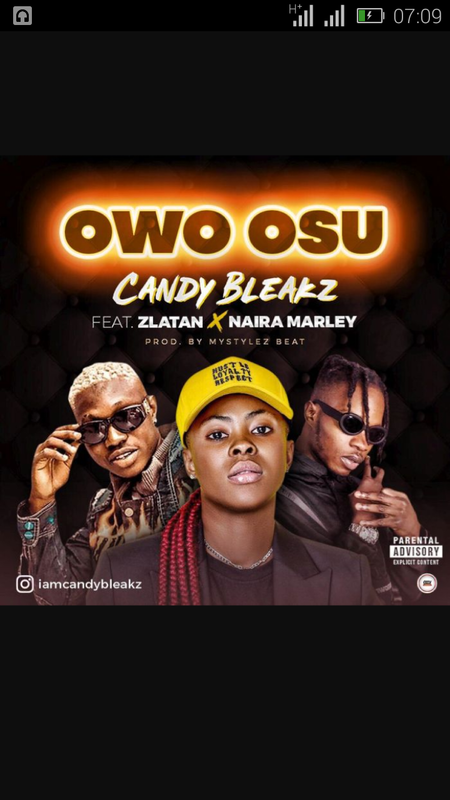 Download and listen to the hit tune "Owo Osu" by Candy Bleakz features Zlatan and Naira Marley.